Today in Masonic History Samuel "Sam" Houston passes away in 1863. 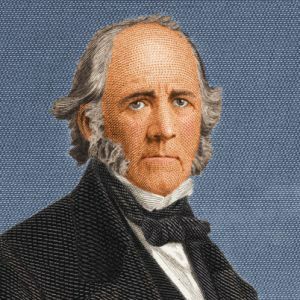 Samuel "Sam" Houston is an American politician and soldier. Houston was born on March 2nd, 1793 around Lexington, Virgina. Houston moved with his family to Tennessee at the age of 14 shortly after the passing of his father. At the age of 16, he would run away from home and begin living with a Cherokee tribe. The chief of the tribe would take him in and treat him as a son. Houston would periodically go home to visit his family, although most of his time was spent with the tribe. In 1813, Houston would become part of the Tennessee militia and begin training at Fort Blount. He would serve with the 39th Infantry Regiment going from a private to third lieutenant. At the Battle of Horseshoe Bend he would be wounded by a Creek arrow in the groin. He would bandaged up and returned to the battle. Andrew Jackson called for volunteers to dislodge a group of Red Sticks from their fortification, Houston volunteered. He would be shot twice in the attack and would eventually seek treatment at an Army hospital. During Houston's time with Jackson, the two would become close and Jackson would consider Houston to be his protégé as did many others. Although the two men would strongly disagree about the treatment of Native Americans. After the war, Houston would study law for 6 months with a local judge in Tennessee. He would pass the bar and would begin practicing law. In 1818 he would be named the local prosecutor in Nashville and was given command of the militia. In 1822, Houston would win the United States House of Representatives seat for Tennessee. He would serve until 1827 when he decided not to run for re-election. In 1827, Houston would be elected as Governor of Tennessee. He planned to run again in 1829 until rumors of alcoholism and infidelity began to circulate. This was mostly caused by Houston's first wife, Eliza, leaving him shortly after being married. Eliza public ally made the claim that his injury from the Creek arrow had left him impotent. Other claims were that Eliza was actually in love with another man. Regardless of the reason the public scandal caused Houston to resign his position as Governor. In 1830 and 1833, Houston visited Washington D.C. There an anti-Jackson congressman made harsh claims about Houston. It was believed that the congressman made the claims because Jackson himself was unreachable and going after his protégé was the better approach. This led to a confrontation between Houston and the congressman. When the congressman refused to retract his statements, Houston beat him with a hickory cane. Houston was put on trial and it was decided that a physical attack such as that could not be tolerated since similar attacks to get a congressman to change his stance would circumvent the democratic system. Houston was also sued by the Congressman. Houston left town though before the judgment of $500 could be extracted from him. Houston headed for Texas and immediately got involved in the politics of Texas independence. On his 43rd birthday, Houston signed the Texas Declaration of Independence. He was then made the commander-in-chief of the Texas forces, limited as they were. Shortly after taking command news came that Santa Anna had attacked the Alamo and that the Texans inside had been defeated. Shortly after about 400 men under the command of James Fanin had been captured and killed by Santa Anna. The few men that Houston had left he had retreat across Texas heading for the Gulf of Mexico. Houston was criticized for not attacking Santa Anna. His concern for his under equipped and under trained men were a great concern for him. Eventually he would turn and fight, by then Santa Anna had split his army into three units hoping to crush the Texas Army by trapping them. Santa Anna did not expect Houston's attack and Santa Anna's army fell. This would lead to the Treaty of Velasco which granted Texas their independence. Texas would initially form a republic, the second future State to form as a republic. In the 1836 election, Houston would be elected as President of the Republic. He would be elected again in 1841. Houston was in favor of annexation by the United States. annexation had little political backing, so he would wait until his second term to try to push for it. Texas would be annexed in 1845. Also in 1845, Houston would be elected to United States Senate from Texas. He would serve until 1859. He would also be the last foreign head of state to serve in the United States Congress, having been President of the Republic of Texas. While in Congress, Houston would oppose secession. He would also express great concern about any possible split between the North and the South, almost prophetically he would state " ... what fields of blood, what scenes of horror, what mighty cities in smoke and ruins—it is brother murdering brother ... I see my beloved South go down in the unequal contest, in a sea of blood and smoking ruin." Fellow-Citizens, in the name of your rights and liberties, which I believe have been trampled upon, I refuse to take this oath. In the name of the nationality of Texas, which has been betrayed by the Convention, I refuse to take this oath. In the name of the Constitution of Texas, I refuse to take this oath. In the name of my own conscience and manhood, which this Convention would degrade by dragging me before it, to pander to the malice of my enemies, I refuse to take this oath. I deny the power of this Convention to speak for Texas....I protest....against all the acts and doings of this convention and I declare them null and void. Houston would pass away in Huntsville, Texas from Pneumonia. Houston was a member of two lodges in Texas. First he was a member of Holland Lodge No. 36 in Brazoria, Texas. Later in life he would transfer his membership and affiliate with Forrest Lodge No. 19 in Huntsville, Texas.